When you’re expecting a new family member, one of the first concerns that comes to mind is finances. From diapers and baby food to checkups and babysitting fees, there are not just heavy expenses but several expenses that add up quickly. Are you financially prepared? Start figuring out your budget now, not when the baby arrives. It’s always a good time to begin budgeting. In fact, the sooner you get yourself on a budget, the better. But if anything, beginning right now is the best time. You may have nine months until the baby arrives, but what’s important is that you acquire the proper financial knowledge and get used to being conservative with your money now. Your first step of budgeting should be finding out how much you’re currently spending on a monthly basis. To figure this out, use a budget calculator online. In turn of figuring out how much you spend monthly, you can decide how much you should save when the baby arrives. 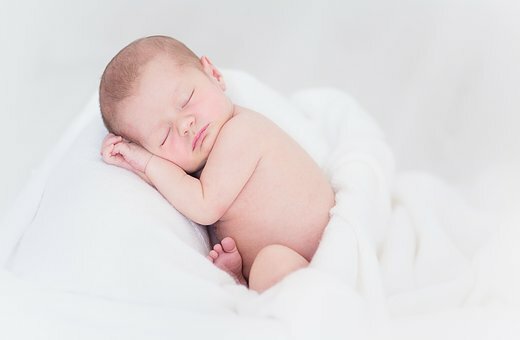 As a general guideline, a new baby in Australia can range from $140 to $170 weekly in expenses for unemployed or low-paid families, according to the Australian Institute of Family Studies (AIFS). It is suggested to put at least 20 percent of your net earnings into savings; this goes for non-parents too. That means if you bring home $44,350 after taxes. You should be putting approximately $171 into savings weekly for a total of $8,870 annually. If you can, try to set even more aside than 20 percent. Every cent counts. Decide how you’ll cut back on baby-related expenses. Not only do you need to budget and build your savings to prepare for the baby, but you also need to figure out how you’ll eliminate excess baby-related expenses. This part can be hard because every parent wants to spoil their child, but there are just some things your child doesn’t need: a super expensive toy, excess clothing, higher-end nursery furniture, the list goes on. That said, start being mindful now of what you’re purchasing for your unborn child. You probably already picked out several outfits and toys, but learning to set some things down, especially after looking at the price tag, is crucial. See if you qualify for government benefits. For low-income couples or single parents, seeing if you qualify for government benefits is important. If you qualify, this will help supplement your household income not just through everyday financial struggles but also if you and/or your partner will be taking time off or temporarily quitting work in the new baby’s earlier years. Get a cash loan if necessary. If you’re in a pinch and need money soon to aid with the expenses for your new bundle of joy, you may consider applying for a fast cash loan. However, know that this type of loan is only for emergency situations. Only apply for this loan if you know you can pay it back on time as these are high-interest loans. But in the end, they can be useful for those who are in dire need of it..
To learn more about cash loans, visit Quickle.com.au today. While bringing home an infant, and let alone raising a child until adulthood, is expensive, there are steps you can take to reduce the amount of debt you may rack up. The main thing to remember is that in order to reduce future debt, it is important to make wise financial decisions now, not just later.